The WITS Writer Orientation for the 2009-2010 school year took place on Friday, August 28 and Saturday, August 29. The two day program was designed to prepare first-time and returning WITS writers for the rigors and rewards of teaching with WITS. This year we welcomed 25 new WITS writers in addition to the roster of 60 returning writers. The number of new applicants doubled that of last year’s and the high volume of responses provided WITS with an excellent crop of quality candidates to choose from. This year WITS was thrilled to invite two former WITS writers, Laura Long and Yvonne Murphy, back to Houston to lead the orientation. Laura Long was a WITS writer for five years. She was a mindful teacher, and her innovative, nuanced approach to teaching the processes of creative writing made her an astounding educator. Laura’s strengths were quickly recognized by WITS, and she was appointed as the lead writer at M.D. Anderson Cancer Center, a position that would eventually allow her and Yvonne Murphy to opportunity to work closely together. Laura’s own career as a student and educator is a testament to her commitment to learning. Laura received her Ph.D. in fiction from the University of Houston and since has made teaching and practicing the art creative writing a major part of her life. She is an associate professor at Lynchburg College in Lynchburg, Virginia, where she teaches creative writing. Laura publishes under the pen name Laura Longsong. She writes poetry, fiction, creative non-fiction, and reviews of contemporary literature. 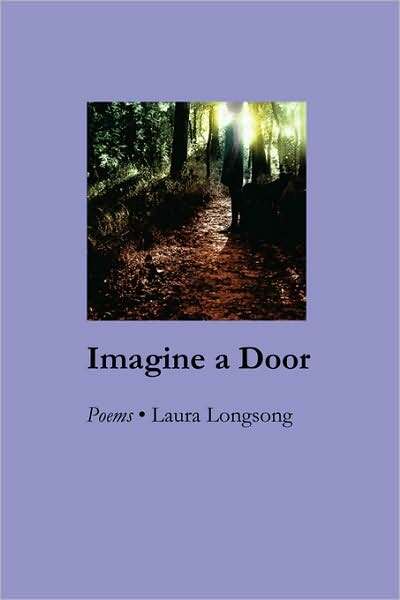 Laura recently published a new collection of poems titled, Imagine a Door. Laura’s poetry and fiction are published in over thirty magazines, such as Arts & Letters and Southern Review, and her writing honors include a Michener Fellowship, a Barthelme Fellowship, PEN-Texas Award and two Pushcart Prize nominations. Yvonne Murphy is also a veteran WITS writer. After her time at WITS she spent several years with Teachers & Writers Collaborative, a sister organization in New York City. Yvonne quickly rose as a star at WITS because of her amazing skills with collaboration. Her positive and fearless energy made her an exceptionally easy person to work with as well as a gifted teacher. Her talents and flexibility made her able to handle any placement that WITS could throw at her, no matter how difficult. Yvonne is currently an Associate Professor of Cultural Studies at SUNY Empire State College in Old Westbury, New York, and teaches as a mentor in Writing. She has published widely in literary magazines and has poetry and nonfiction anthologized in the U.S. and Canada. Yvonne received her Ph.D. from The University of Houston. She has also held a Stegner Fellowship in Poetry from Stanford University and was a Bucknell University Younger Poetry Fellow.